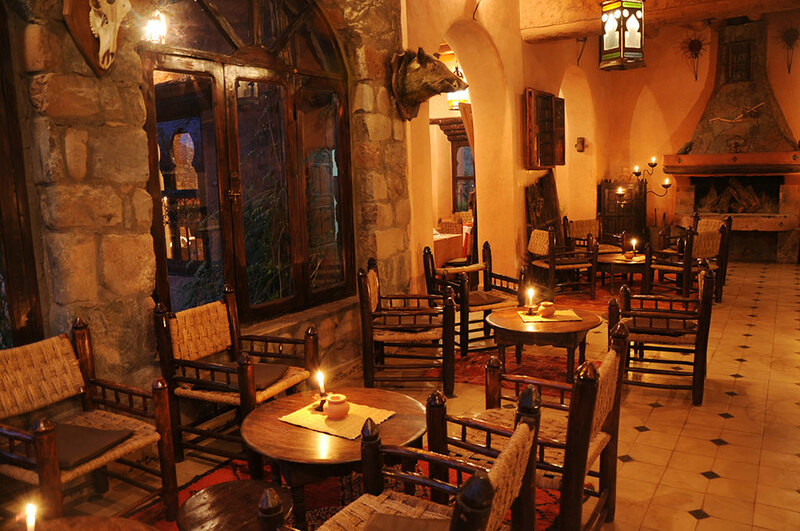 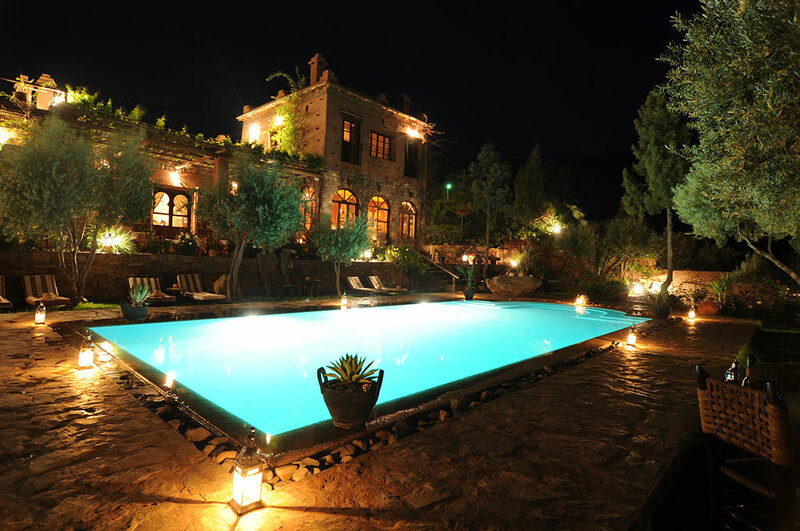 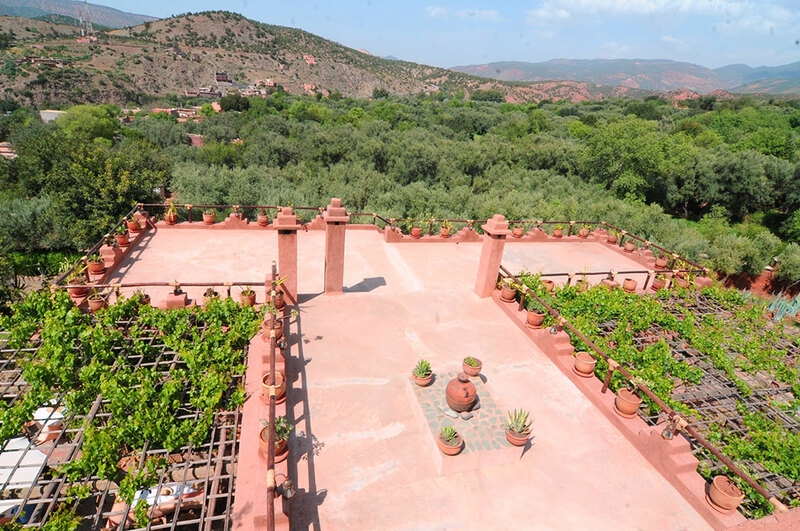 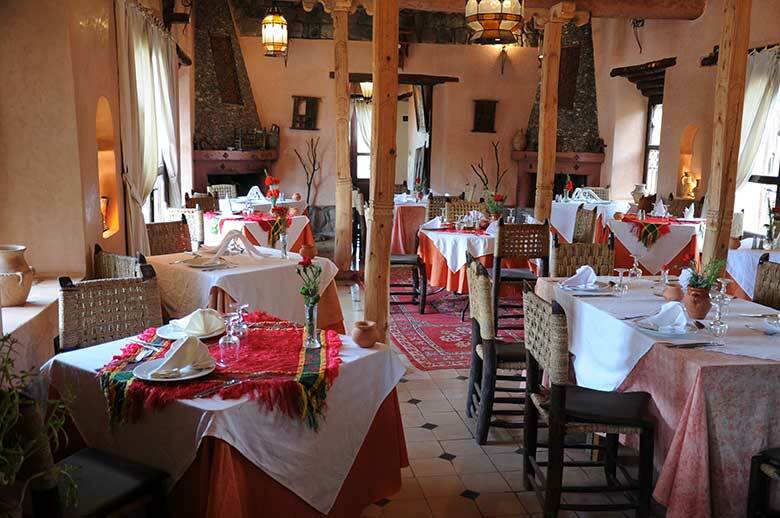 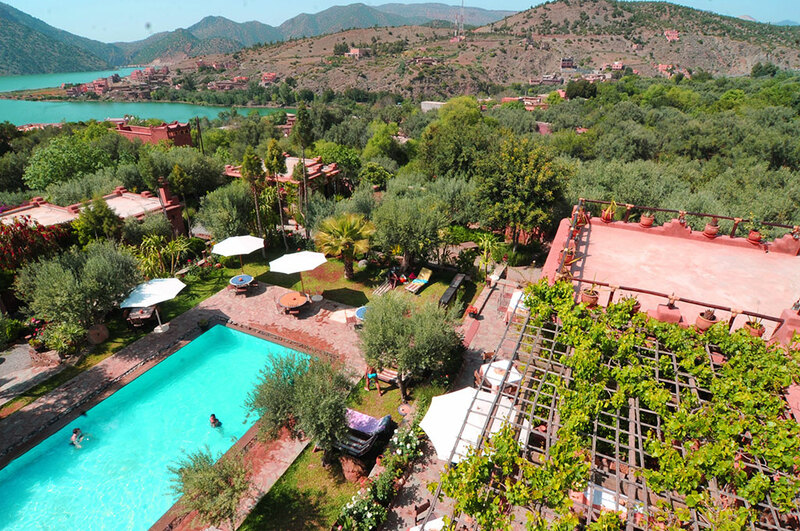 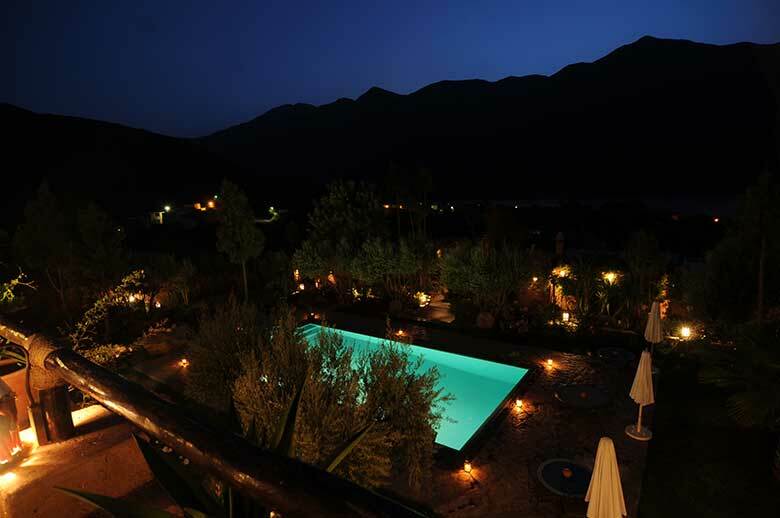 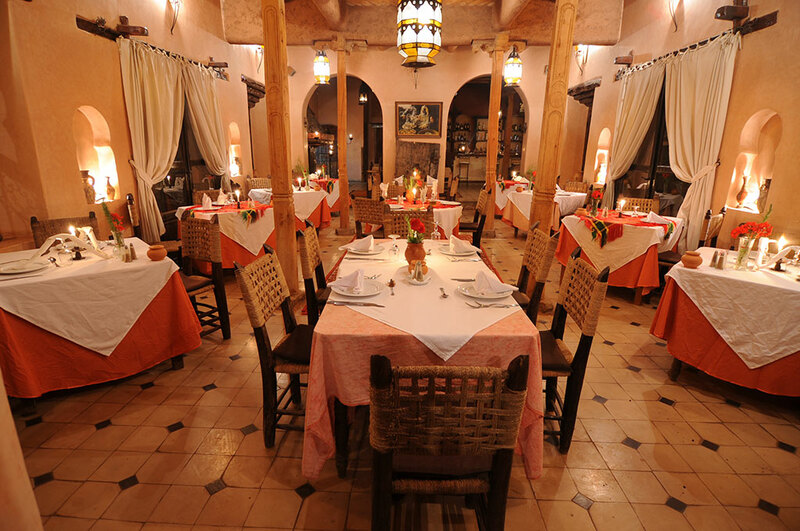 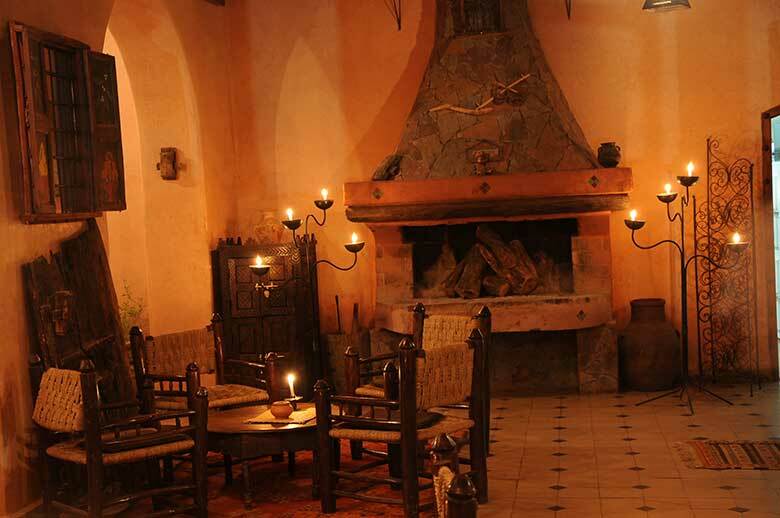 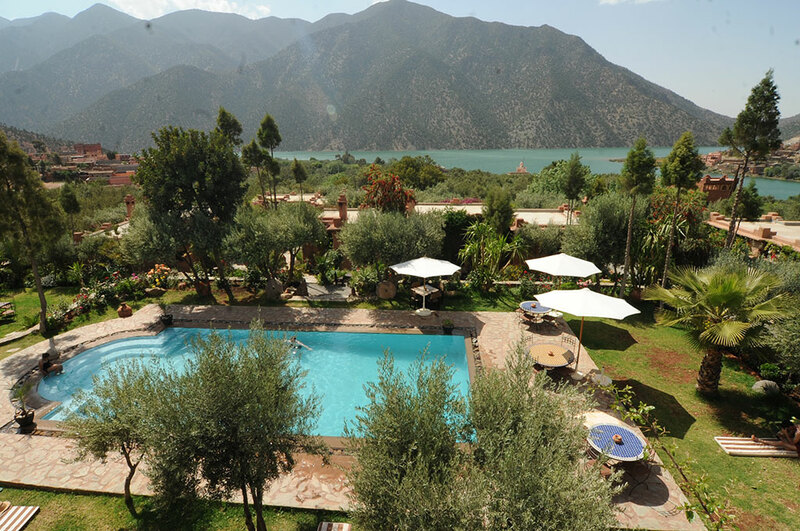 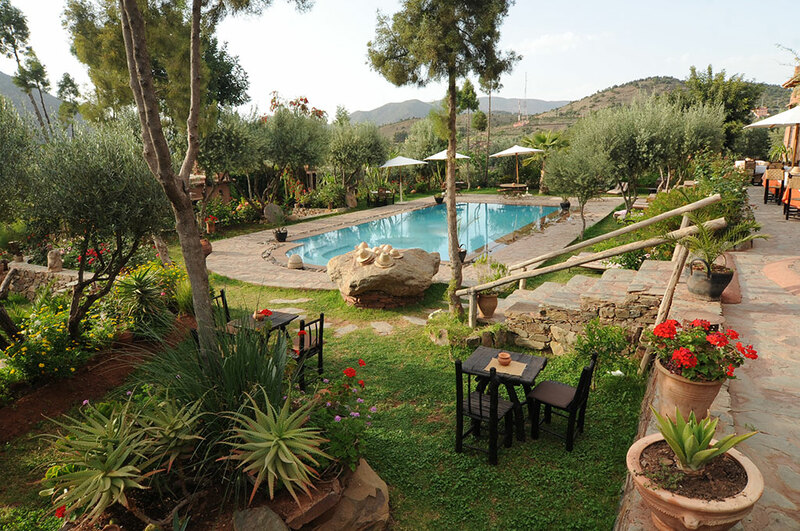 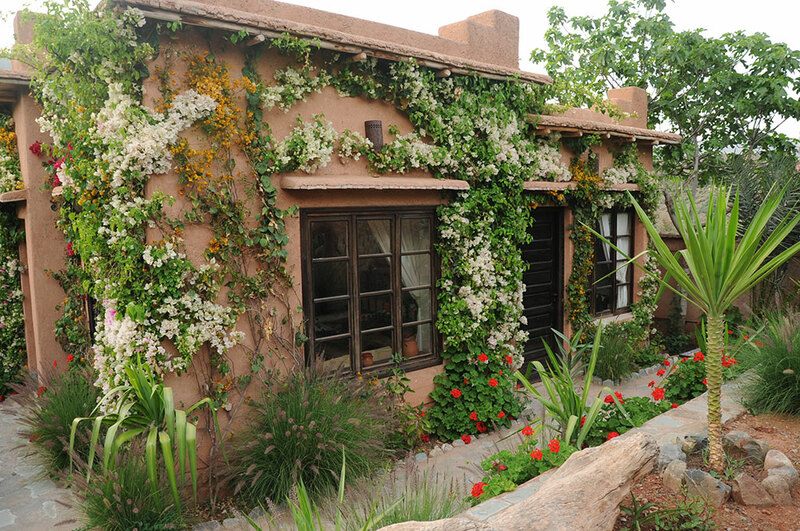 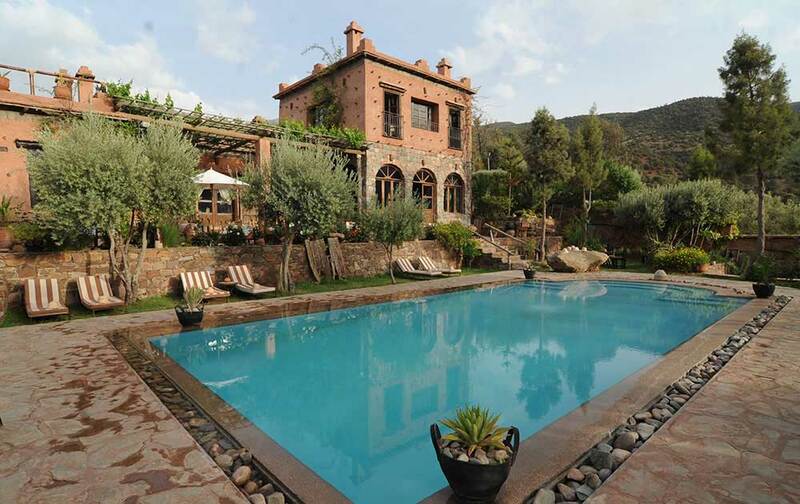 At 61 km from Marrakech, in the direction of Taroudant, in the heart of unspoilt nature and magnificent in the foothills of the High Atlas is about 1000 meters the old Berber village of Ouirgane. 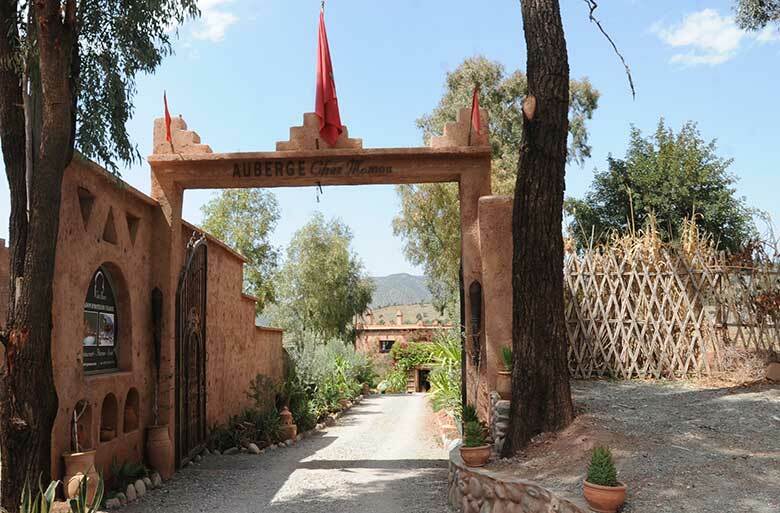 After the tumult of the town red, it's fantastic to discover this haven of peace overlooking the snowy peaks in winter, and recently trimmed by a beautiful lake surrounded by green oak, Aleppo pine, eucalyptus and juniper crisscrossed countless mule tracks and paths of red earth. 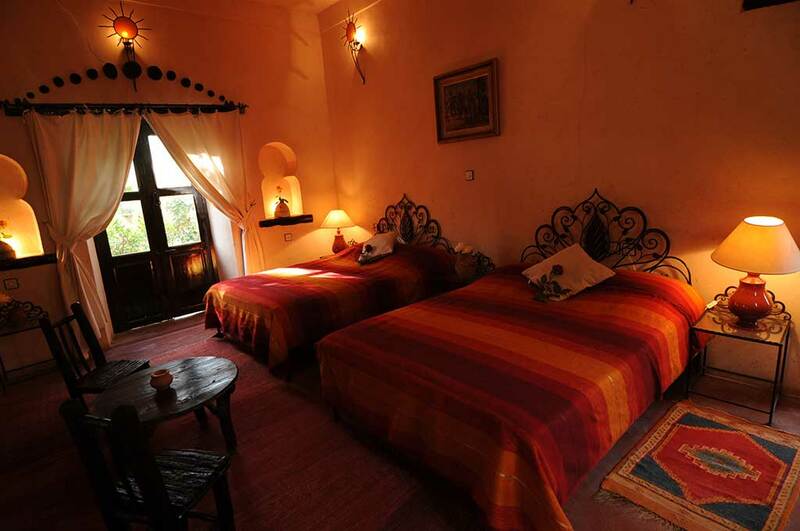 And this is the turning of one of them emerges as the hostel. 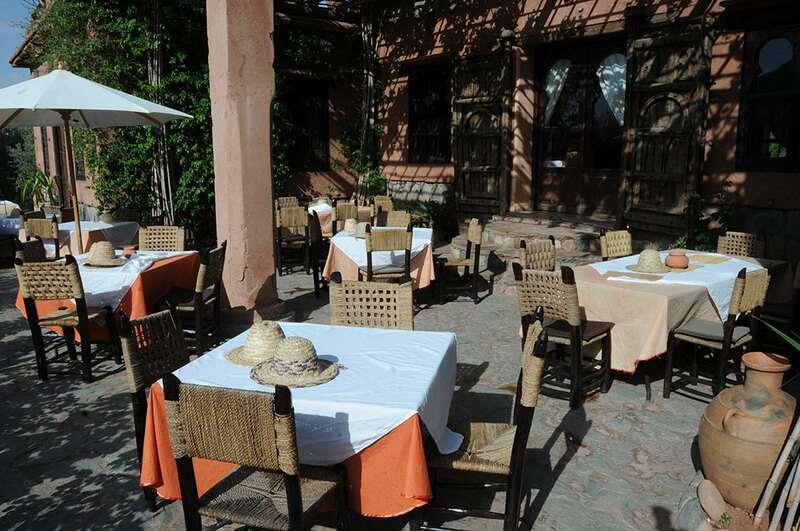 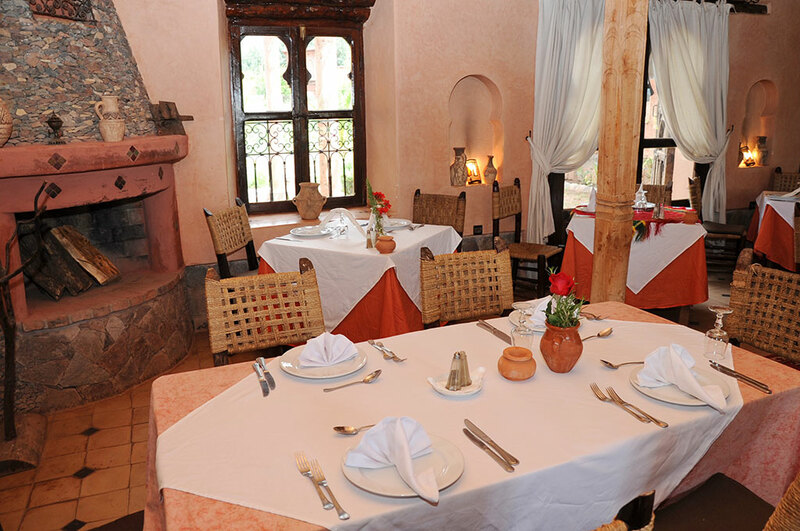 Like all in the name of « Chez Momo » Hotel Ouirgan to speak today of « Chez Momo II ». 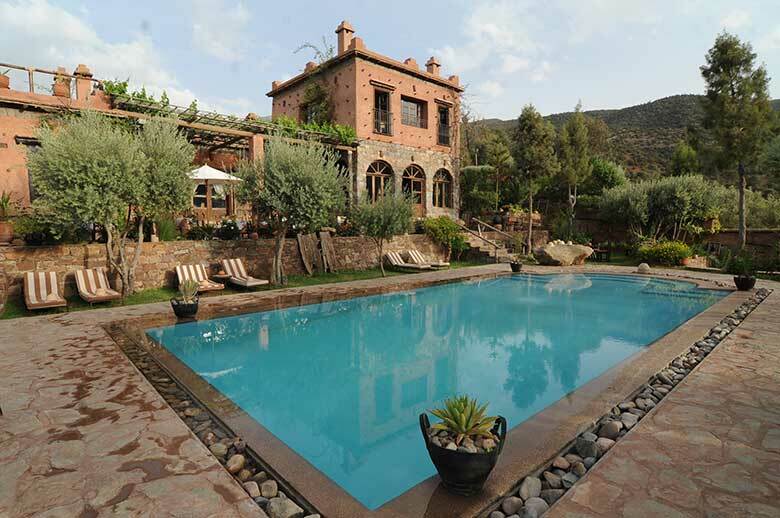 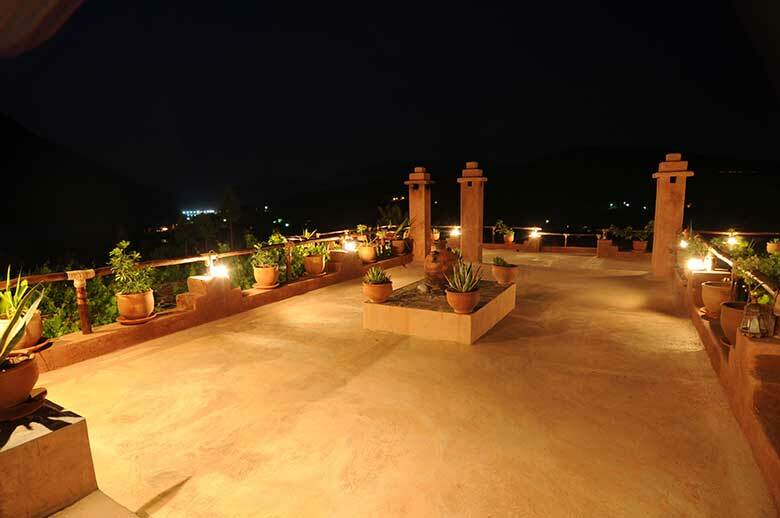 Because due to water requirements for growing the « Pearl of the South» is the construction of the dam that gave birth to the new reservoir which has engulfed the end of 2008 the first High Atlas Hotel Chez Momo II. 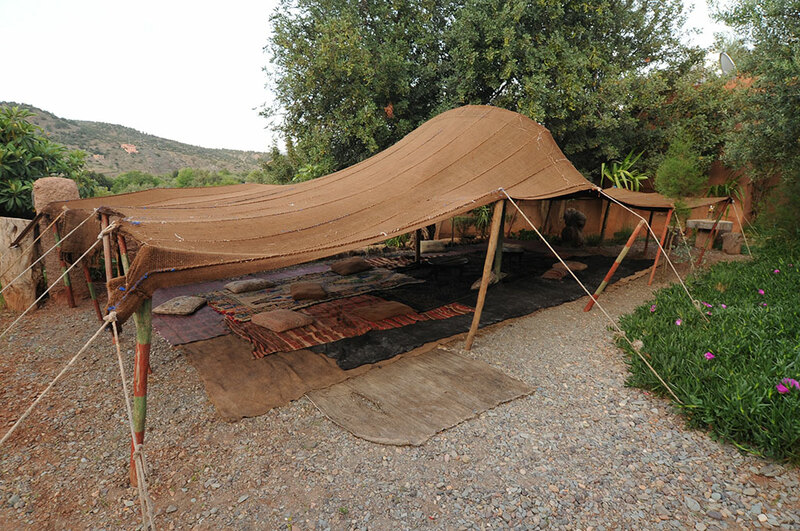 But there was more to discourage the Berber Momo. 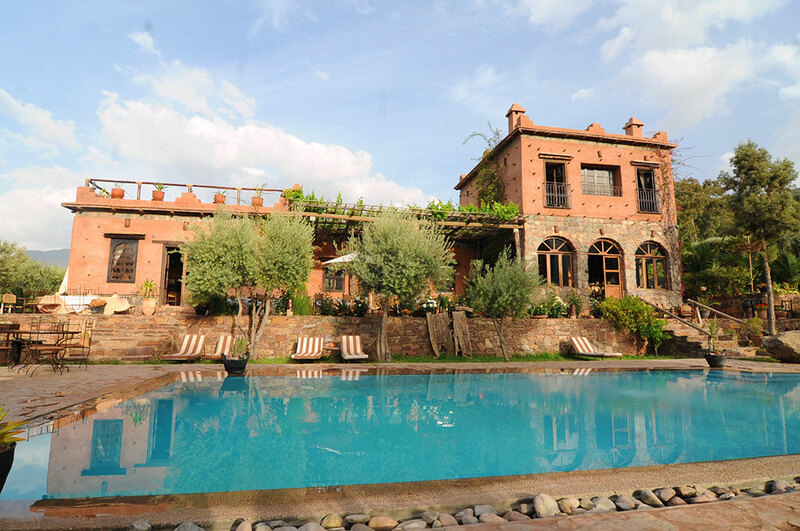 On a beautiful forested 7000 m2 overlooking the lake, he began to work in a few months and a new hostel, built entirely with traditional materials by businesses and artisans of the village, was born. 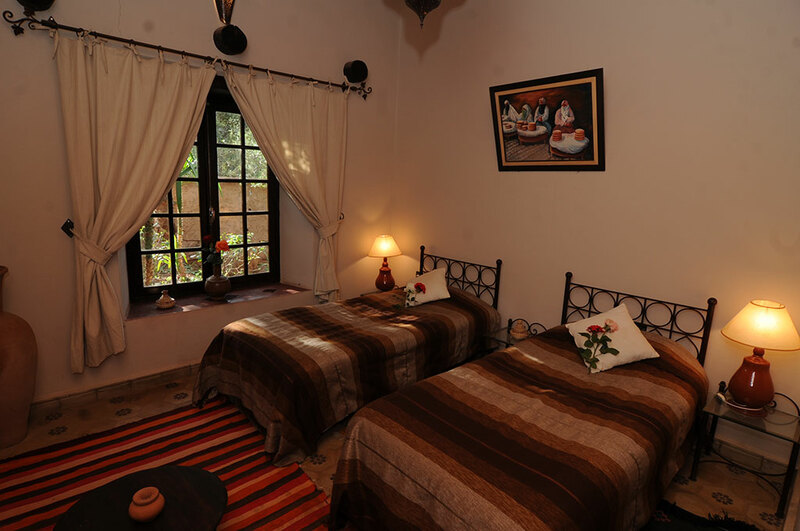 Gives a sense of serenity and sweetness, Large size bed, air conditioning, an elegant poetry room, very comfortable accommodation with a sofa private and very intimate, high speed WIFI connection. 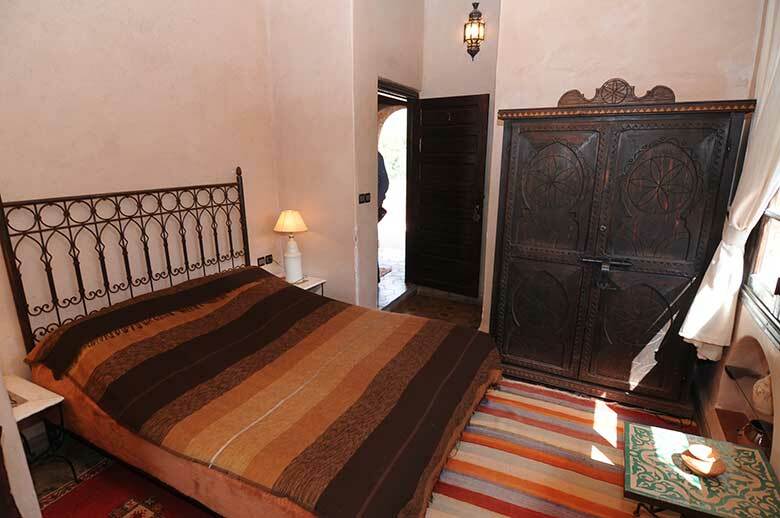 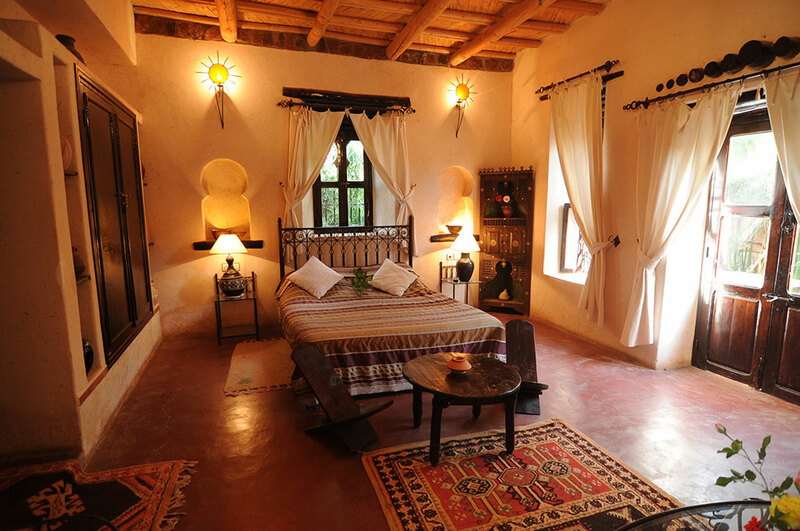 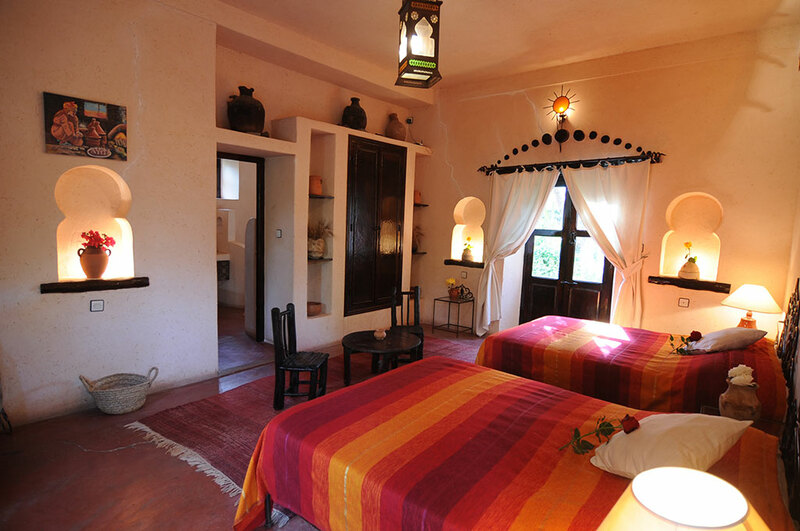 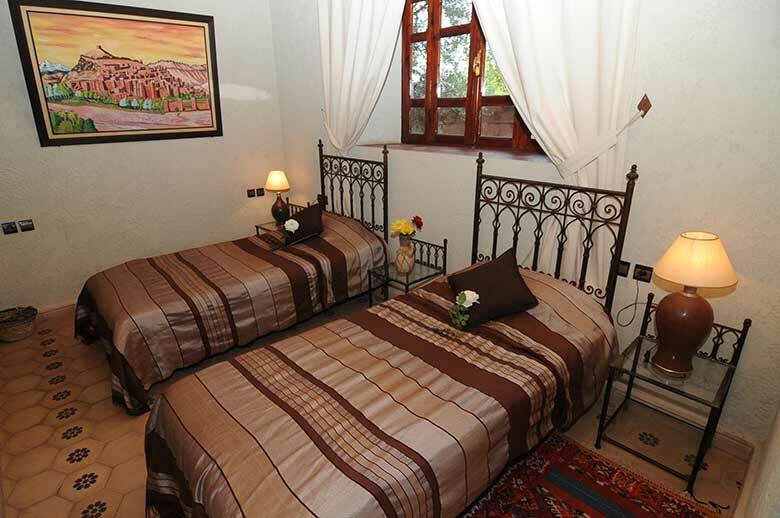 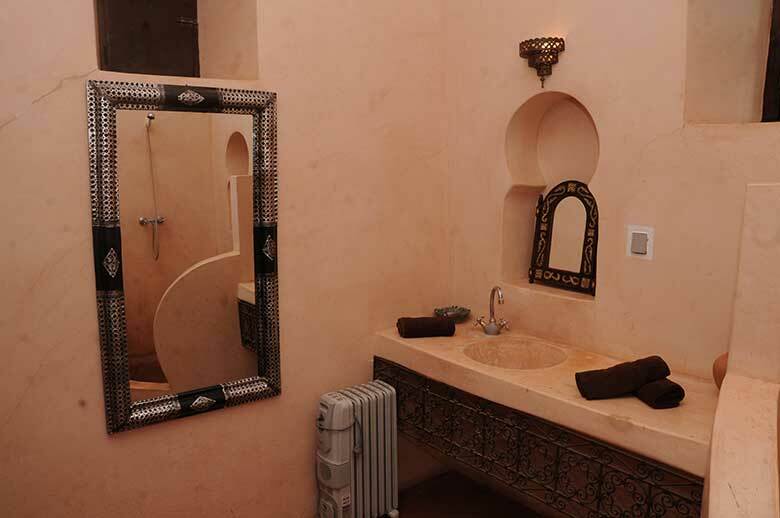 Decorated in Moroccan style, double bed, ensuite private shower, very nice and peaceful, ideal for relaxing after a long day !, high speed WIFI connection.